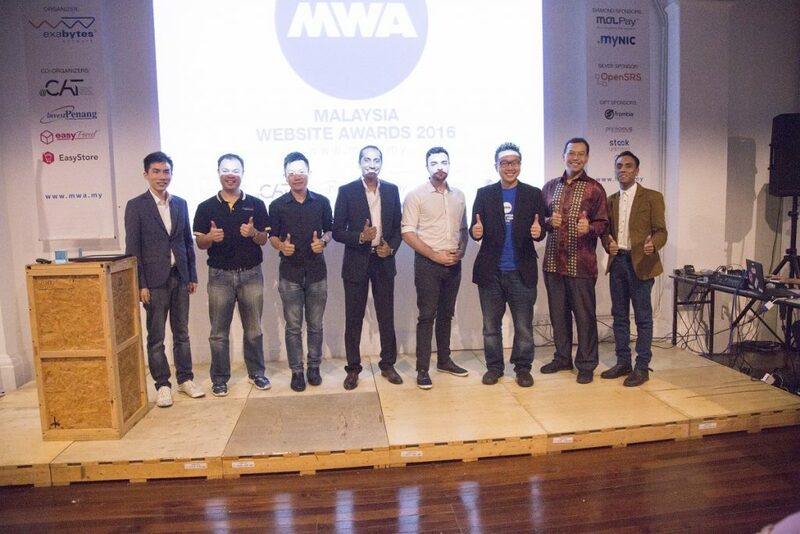 Home All About Exabytes The Malaysia Website Awards 2016 is a Great Success! On last Saturday (21 January 2017), we had a great evening at the Award Presentation Ceremony of Malaysia Website Awards 2016. First of all, a thousand thanks for your attendance and fantastic support! Without your great support, our event will not be a success. Here is a little throwback for those who did not manage to join us! Without their great support towards this community event, the Award Presentation Ceremony won’t be a great success. At 7.15PM, Mr Chan Kee Siak – the CEO of Exabytes Group, kick-started the ceremony with an opening speech. There are 42 winners in total for 2016! We were so glad that some of the winners flew to Penang all the way from East Malaysia just to attend the Award Presentation Ceremony. We sincerely appreciate your effort and time to join us for the evening. Thank you for everyone who joined us on last Saturday! We hope you enjoyed yourself meeting the talents! See you again next year! Thank you once again to all our sponsors and judges! Is MWA2017 open for registration now? Malaysia Website Awards 2017 is now open for registration! You are welcome to submit your websites to us now!